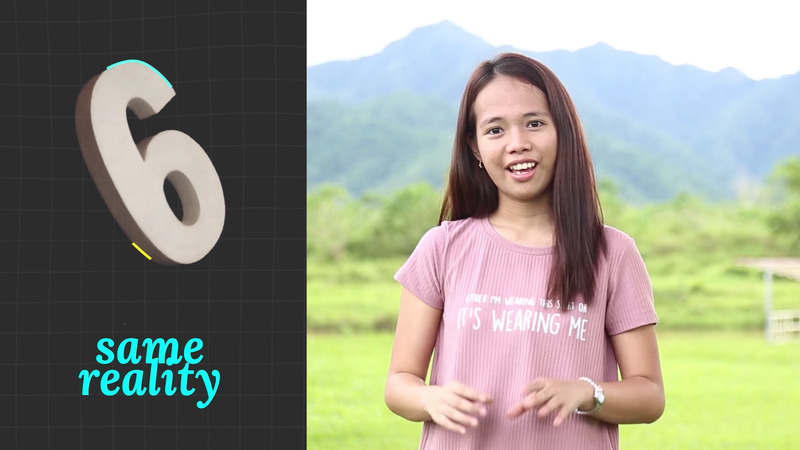 18-year-old Hillary Diane Andales won the 2017 Breakthrough Junior Challenge for her video explaining the theory of relativity. Andales took home $US250,000 in scholarship money for her win. Andales is the winner of the 2017 Breakthrough Junior Challenge, an annual competition that calls on teenagers across the world to submit videos no longer than three minutes that simplify big ideas in science or maths. For her win, Andales took home the grand prize of $US250,000 in scholarship money. Her winning video was entitled “Relativity & The Equivalence of Reference Frames.” It began by displaying a sideways number, which you could interpret as either a “6” or a “9” depending on which way you turned your head. The perspective you take, Andales noted, determines your reference frame. Andales demonstrated this by recruiting three of her friends to record the sound a pickup truck made as it drove down a road and honked the horn. Each person stood in a different spot – one in front of the car, one behind the car, and one inside the car – and recorded the sound. The same test can be done with velocity and time, Andales explained. If Usain Bolt ran the 100-meter dash at 98% the speed of light, a 10-second finish from his perspective would read 40 seconds on the judge’s clock.